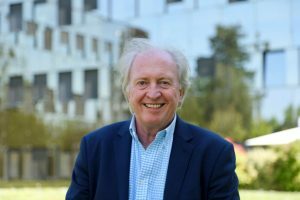 The UK’s Digital TV Group, which serves as a collaboration centre for innovation in digital media technology, has named Simon Fell as its new independent chair. Fell will take over from David Docherty, who has spent 10 years in the post. Fell was most recently director of technology and innovation at the European Broadcasting Union (EBU), the public broadcasters’ organisation. Based in Geneva, he led the team driving the industry’s digital transformation and introduced several new initiatives bringing focus to areas such as cyber security and OTT and establishing the EBU Innovation Awards. Before joining the EBU in 2013 he was CTO at Heathrow Airport. He has also held several executive positions at UK broadcasters including ITV where he was director of future technologies. “I am thrilled to be joining the DTG at this crucially important time for our industry. Having worked closely with the DTG since its inception I am fully aware of the unique and vital role it plays in achieving industry collaboration. I believe that by working together our industry can be better prepared for the change that technology and international competition is bringing to media companies globally,” said Fell. “Simon brings extensive board-level experience and an international perspective to the post of DTG chair. I relish the opportunity to work closely with him on the next phase of the DTG’s development,” said Richard Lindsay-Davies, DTG CEO.